VA secretary apologizes for saying he was in US Special Forces; Bill O'Reilly vs. The New York Times over Argentina war reporting; FIFA recommends 2022 winter World Cup. 1. 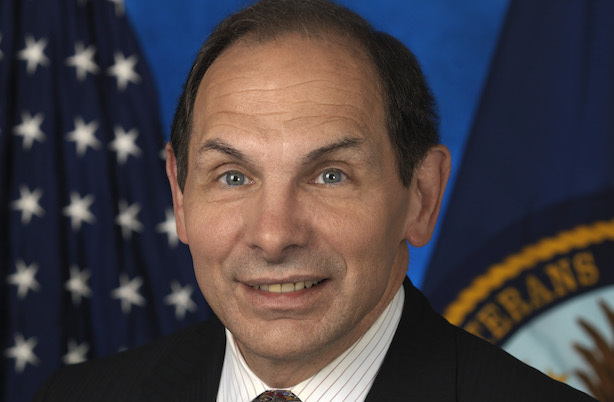 Veterans Affairs Secretary Robert McDonald, Procter & Gamble’s former CEO, apologized late Monday in a statement for saying he had served in the US Special Forces. McDonald was talking with a homeless veteran in January in a video recorded by CBS News when he made the statement. 2. CBS News has released disputed footage from 1982 of Bill O’Reilly’s reporting from Argentina during and after its conflict with the UK over the Falkland Islands. The Fox News host said the tape backs up his claims of having reported from dangerous war zones. Journalists from Mother Jones, which ran the initial report claiming O’Reilly had embellished his war-reporting chops, said it does not. O’Reilly reportedly threatened New York Times reporter Emily Steel during an interview for her latest story on the situation, telling her, "I am coming after you with everything I have…you can take it as a threat." 3. International soccer body FIFA has recommended that the 2022 World Cup in Qatar should take place in November and December due to scorching temperatures affecting players and fans. Such a rescheduling would mean that many domestic leagues such as England’s Barclays Premier League would have to halt their seasons for weeks. 4. The communications fight over the possible shutdown of the Department of Homeland Security is taking shape. White House Press Secretary Josh Earnest has said a shutdown would hurt the government’s ability to protect the public, while Republicans have stressed that most personnel would remain on the job. 5. The Environmental Protection Agency said Monday that it will issue new rules for automakers to determine how much gas the cars they are selling actually use. The regulations would affect how car-makers market their vehicles to the public.